The Ecuadorian government just passed a new law titled “Tax on Speculation on the Value of Land” (“El Impuesto a la Especulación sobre el Valor de las Tierras”) which takes effect now in the new year (2017). This law has been referred to as “The New Capital Gains Tax” or the “Ley de Plusvalia”. The concept behind the creation of this law is to prevent a future speculative bubble in real estate prices (which many of us from the US can attest might be useful). For retirees who plan to live here for 3+ years, investors who plan to own and rent over a 3+ year period, or for those who buy land and build a home, this new law will generally save them quite a bit of money as fairly substantial gains can be realized tax-free. Even those purchasing relatively inexpensive lots in the $39,000 range and flipping the land in less than a year can receive up to a 22% return on investment before they would have to pay a single cent of Capital Gains or Appreciation Tax under the new law. For those planning to buy large pieces of land to flip over a short time period without making improvements… this tax is meant to make you think twice and advice from a lawyer on how best to structure your purchase and sale is recommended. 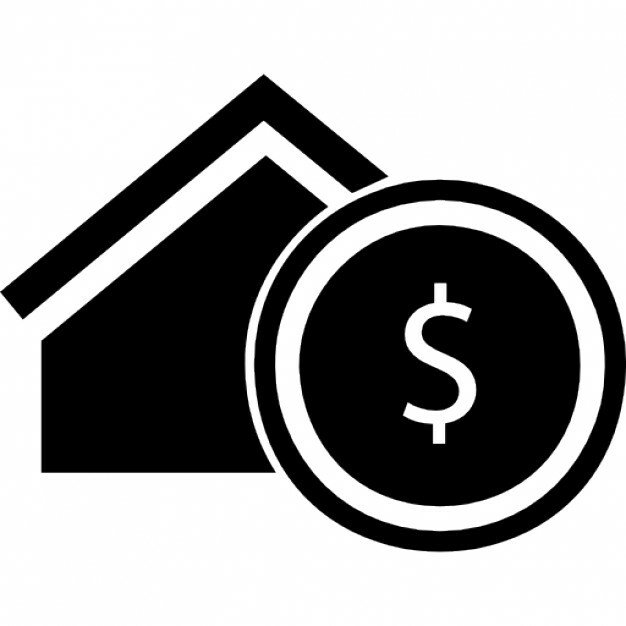 Creative short term investors will still find solutions such as buying and selling “purchase options” on a property, transferring their rights via a “promise of sale agreement”, or by creating development partnerships with project developers to be paid upon completion and final sale of the developed property. Whether or not this new law will actually stick after the presidential elections in February remains to be seen but, not surprisingly, various interpretations of the law are being spun by different parties for their own interests. This is especially the case as election day nears in Ecuador. The purpose of this post is to provide you with a detailed, cut and dry summary taken directly from the government website and includes a translation of their sample calculation. This is the scoop on the new tax law minus the sensationalism. The “sensational talking point” of the new law is that sellers will be taxed 75% on their “illegitimate” capital gains. What the whaaat?!? That was our initial response as well. But let’s take a closer look. If you purchased your Ecuador property prior to 2017 when the law goes into effect, this new capital gains law will not apply to you when you sell. There is a standard allowance of $8,784 of profit that is not taxable on any purchase and sale over any time frame. There is an allowance of 7.52% compounding annual appreciation that is not taxable and that appreciates on the total of your purchase value PLUS improvements. Let’s take a look at the example provided by the government website (see our translated image below). For this example, a property is purchased for $85,000 in 2017 and sold for $135,000 in 2020. Property tax (“Plusvalia”) due at the time of sale would only be $1,437.72, not 75% of the total difference in purchase and sale price. In fact, the capital gains tax for this example is actually less expensive than what it would have been based on the previous law ($2,975 versus $1,437). Let’s find out the specifics for how this new capital gains tax gets calculated. Plus a set profit allowance of $8,784 brings us to a total NON-TAXABLE property value of $133,183. Difference between the sales price of $135,000 minus the non-taxable property value of $133,183 is $1,917. 75% of $1,917 is $1,437.72. The government provides a capital gains calculator here. It should be noted that the property value used for calculating capital gains is the amount shown on the property title (“escritura”). In many cases, the property value on the title is the municipal value, which tends to be significantly lower than the actual purchase or sale price. It’s worth discussing options with your accountant or lawyer prior to sale to make sure that you are making the best decision for your given situation. So will this new law affect foreign investments in Ecuador? The new law will discourage those looking to do relatively large, short-term (less than 1 year) flips with no investment in improvements and who seek to earn significantly more than the standard tax-free profit allowance of $8,784. The new law will actually tend to benefit most others, in particular, those who own their property for any length of time. 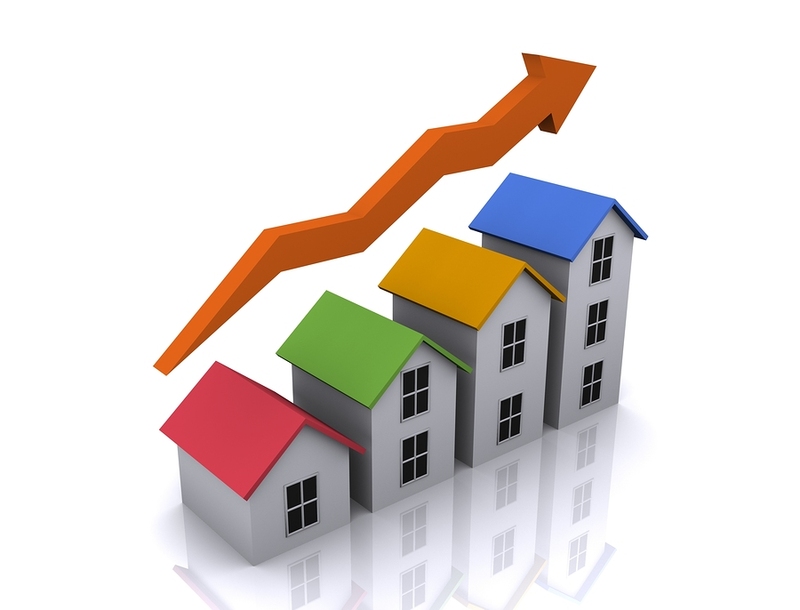 Property value plus money spent on improvements can appreciate at a rate of 7.52%, compounded annually, tax-free. The accumulated compounded appreciation is above and beyond the automatic $8,784 of allowable tax-free appreciation. 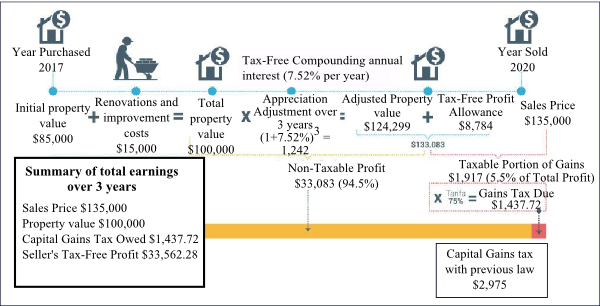 Based on the 7.52% compounding interest rate, the property can double in value over 10 years and the owner would pay ZERO in capital gains tax or “Plusvalia” upon sale. The new law also does not apply to the first sale of a property. In other words, those who build their own homes (either as individuals or companies), or develop their properties will be completely exempt from paying capital gains tax when they sell their homes. That means that if you purchase a beachfront lot at a great price and build a home, you will pay zero capital gains tax upon the sale of that property. In addition, there are no capital gains collected on the transfer of a property as a result of an inheritance, prize winnings, or donations. There is also a statement in the new law that foreign institutions and international organizations are exempt from paying capital gains, something warranting further investigation. Overall, the law allows for solid tax-free gains via property appreciation and should help to limit the speculative appreciation of prices. While this new law may temper gains from short-term, high-value property flips, it should also prevent the formation of a real estate bubble that would leave buyers underwater. This entry was posted in ecuador information sharing, Ecuador Investment, ecuador legal information, Ecuador overview, Relocating to Ecuador, Retire in Ecuador and tagged Ecuador Capital Gains tax, Ecuador property appreciation tax, Ecuador property sales tax, Ecuador real estate, Ley de Plusvalia by Tom Saunders. Bookmark the permalink.